Professional hand lettering services, custom designed invitations, seating scrolls, envelopes addressed. Packaged pricing for non-custom invitations when purchased with calligraphy services. Twenty years of experience ,samples available. Wedding Needs offers all kinds of wedding invitations from the traditional ecru cards, to the more sophisticated and modern pocket-fold invites in bright colors. Example: Red Wedding Invitations, Fuchsia Wedding Invitations, Aqua Wedding Invitations, etc. 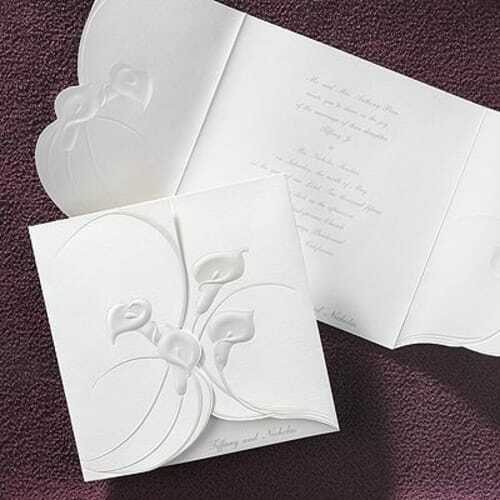 RSVP wedding invitations offers invites for all tastes and prices. For example you can choose from cheap wedding invitations, or from more expensive or high-end invitations. Exquisite wedding invitations from Kleinfeld, Crane, William Arthur, Vera, lolo Lincoln, and many more. 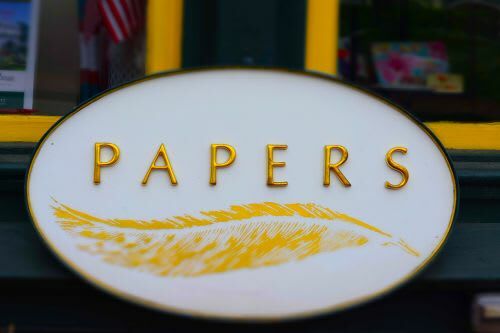 Papers specializes in all aspects of the wedding invitation wardrobe which includes the save the date, invitation, maps, menus, programs, and table cards. Computerized calligraphy options are available for addressing your wedding invitations. Call for an appointment and speak with one of our stationers.